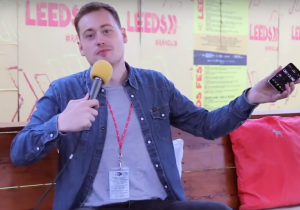 The best of the guests, backstage at Reading and Leeds 2018. Including Fall Out Boy, The Wombats, The Horrors, Kate Nash, Waterparks, Yungblud, SWMRS, Tom Grennan, Lewis Capaldi, Don Broco and Hinds. Backstage at Reading and Leeds 2018 with Kate Nash. Chatting sneaking into festivals, staring in Netflix dramas and revolutionising the music industry. 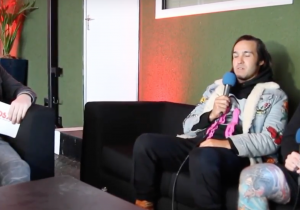 Backstage at Reading and Leeds 2018 with headliners Fall Out Boy. 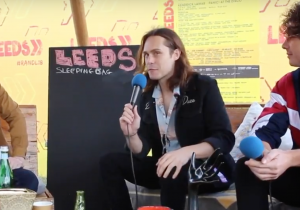 Chatting about their favourite Reading and Leeds moments, the honour of headlining, flame throwing bass guitars and their incredible career! 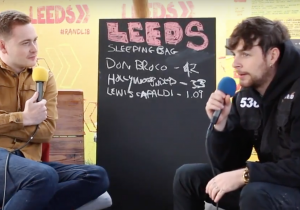 Backstage at Reading and Leeds 2018 with Tom Grennan. 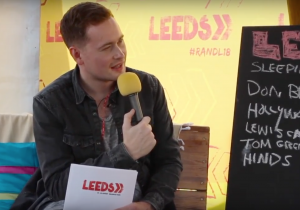 Chatting about his favourite Leeds experience, having a top 5 album and hanging out with Liam Gallagher. Backstage at Reading and Leeds 2018 with Wolf Alice. Chatting about their second Mercury Prize nomination, finding writing inspiration, their love of blue drinks and getting hyped up to Skrillex. Backstage at Reading and Leeds 2018 with Faris from The Horrors. Chatting about the honour of headlining, supporting new acts and what happens when the power goes out. 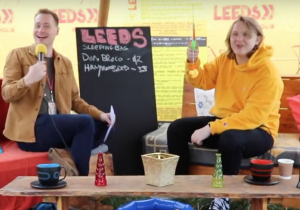 Backstage at Reading and Leeds 2018 with Scottish rising star Lewis Capaldi. We play a game of interview hook-a-duck and reveal some strange rumours about Lewis and some even stranger eating habits. 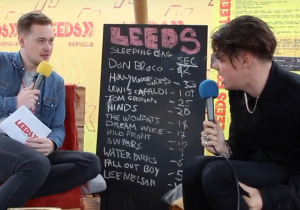 Backstage at Reading and Leeds 2018 with Yungblud. Chatting about playing his home town festival, hanging out with Brooklyn Beckham in LA and changing the world. 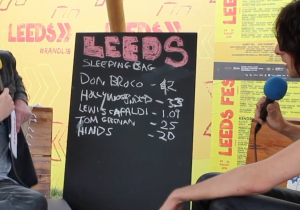 Backstage at Reading and Leeds 2018 with rock nice guys Don Broco. Chatting their first festival experience, weirdest gig moments and touring with Jared Leto.